This new Attessa project, though, would be far more extensive. 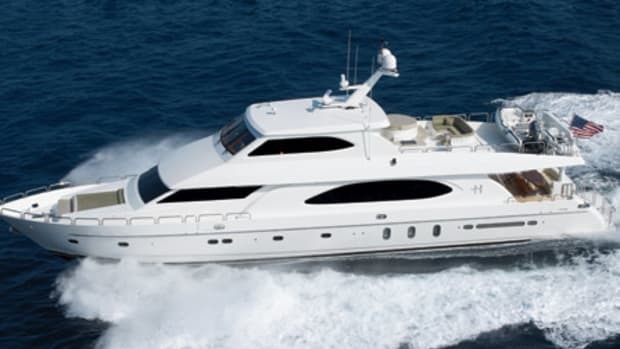 When the yacht arrived in Holland as Lady Aviva after the fire in 2002, she was in no condition to even sail across the Atlantic and make her way up the West Coast to Washington&apos;s yard in Vancouver. The De Voogt team worked with him to clean out the interior, repair and replace mechanical systems, and bring her back to Lloyd&apos;s standards as well as upgrade her to meet the MCA Code—just so Washington&apos;s team could cruise her to Canada to begin the refit that he envisioned. He simultaneously added a new, climate-controlled building to his shipyard so the fledgling project would have a proper home during the two to three years he knew the bigger phase of work would require. Next, Washington asked Johnson to begin drawing and redrawing plans for how Attessa would look after her refit. 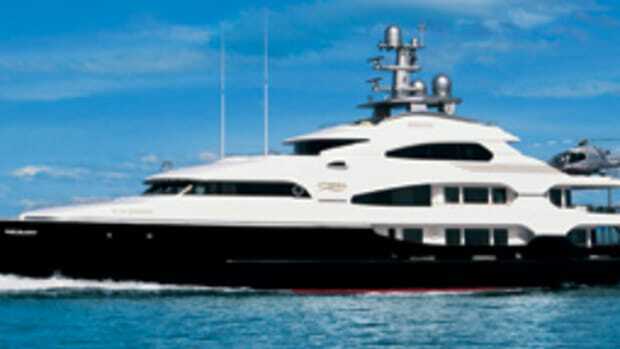 The stern would end up being extended 24 feet to make room for a "beach deck" a few steps down from the aft deck and complete with a Jacuzzi that is encased in the teak decking when the yacht is underway. The main and bridge decks were also lengthened, making room for a pad on which to land Washington&apos;s EC-130 helicopter. The new 31-foot-wide, 55-foot-long sundeck was constructed as a single composite piece, made entirely in the Pacific Northwest by Northern Marine with molds from Janicki Industries. It was installed on the rebuilt yacht in April 2004, a little more than a year before the project would be completed. Johnson&apos;s office claims it was Janicki&apos;s most complex part to date, but Jim Payant of Janicki says the job was "pretty normal fare" for his company, which also does work for the yacht builders Delta Marine and Westport along with such major corporations as Boeing, Lockheed Martin, and Northrop Grumman. From Schouten&apos;s perspective, the stunning new extended stern was the most exciting thing his team got to work on during the Attessa project, but the new superstructure represented the single biggest challenge. "Stability was an important thing," he explains. "We went one deck higher, and that&apos;s a critical thing. We had to make the composite superstructure, and the helicopter pad also had to be a bit lighter weight." 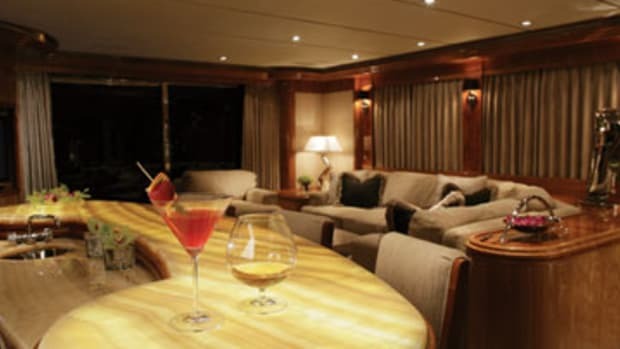 Meanwhile, a transformation was taking place inside the yacht as well. Every layer the refit and repair team peeled away as they followed Johnson&apos;s interior design plan had to be rebuilt and then finished to reflect the owner&apos;s new concept. More than 4,500 photographs of different parts of the yacht were sent to Schouten and the Feadship team in Holland so that the craftsmen who had originally created the boat could offer their thoughts on how to best move forward. "We had a lot of people around who were there during the [original] build process," Schouten explains. "You could just ask, &apos;Why did you do it this way instead of the other way around?&apos; It&apos;s good to know the reasons behind it." 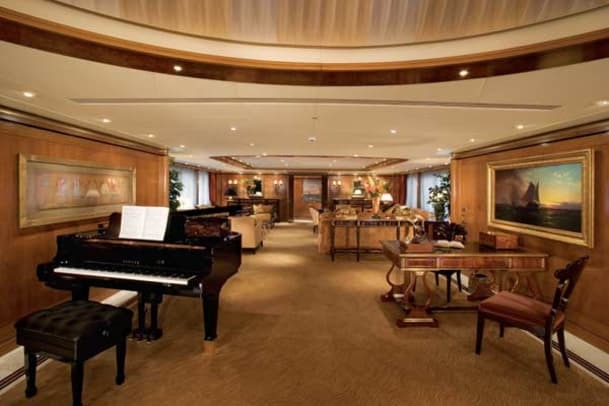 Schouten also ensured that some of Feadship&apos;s and De Voogt&apos;s employees, along with longtime subcontractors, flew from Europe to Vancouver Shipyards to help install parts that were either made by or pulled off the stock shelves of Feadship&apos;s original suppliers. "The point is to get the same quality," Schouten says. "We have all the original drawings—which of course someone else could get—but now, they use the same design systems that we would have used. The small details make a big difference. There are a lot of custom-made things that are very difficult to get, like screws or ceiling plates, or the way a system works which we do differently than other people. We shipped a lot of parts and equipment over to Vancouver." Those parts—thousands of which were sent to the refit shed where Attessa was being reborn—included custom-made translator print boards to ensure the alarm system works based on the way it was originally built. Ditto the fire nozzles and hoses as well as a series of storm-shutter mounting screws that had been custom made for the original launch and simply weren&apos;t available anywhere else. "It would have been impossible to carry out this project without De Voogt Yacht Services and retain the value," Washington said in a statement released through Feadship&apos;s marketing department. "It was crucial that Attessa remained a Feadship in every aspect7mdash;that means having the yard, designers, and engineers fully involved. 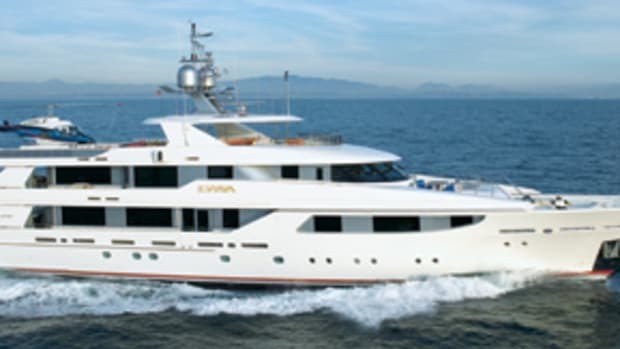 Anyone who walks onboard Attessa will immediately recognize that she is a Feadship. 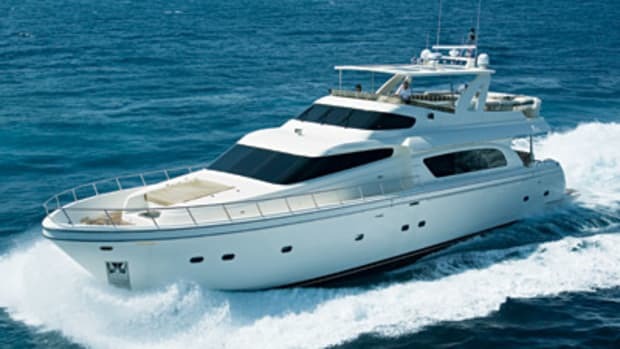 And any future owners will have the security of knowing that they can call De Voogt Yacht Services should queries arise over a given system. This is the ideal solution when it comes to retaining premium quality." 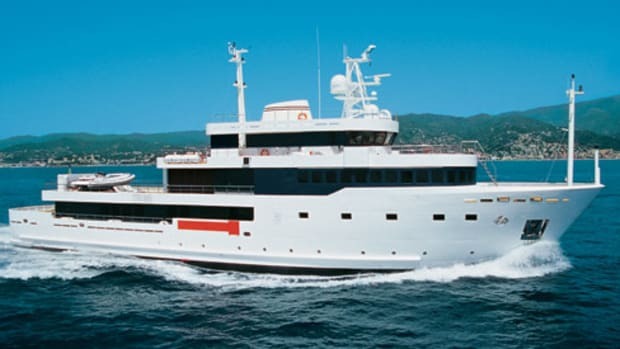 Washington was extremely involved from start to finish, Schouten says, much more so than he might have been had he simply gotten on the two- to three-year waiting list for a brand-new Feadship. Owning the yard where the refit work is being done, of course, makes a big difference in accessibility and oversight. "Near the end, he was there almost every day," Schouten says. "We changed more than was necessary after the fire. He wanted his own interior and style in it. He and his wife were closely involved in the interior styling. She has an antiques company, so she was closely involved in the interior as well. 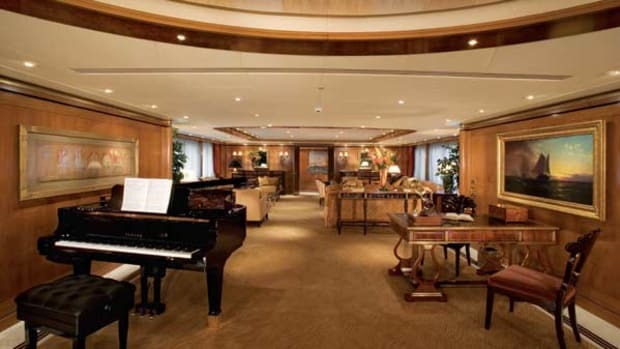 They wanted to oversee the complete refit." The Washingtons were cruising Attessa along the West Coast of the United States at presstime, bound for a winter season in the Caribbean. The yacht will not charter, which means few people will have the privilege of stepping aboard to see exactly how the project turned out. 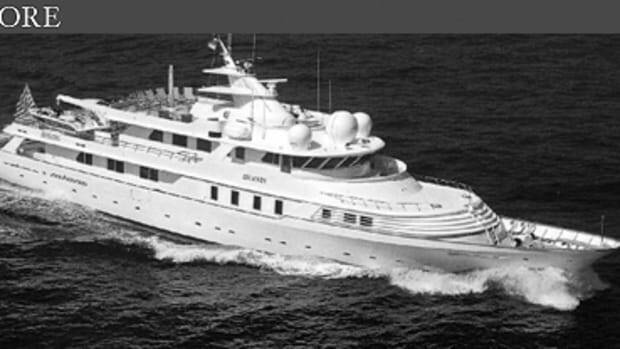 Feadship fans will simply have to keep an eye out for the former Lady Aviva as she cruises by&mdahs;and hope that they can still spot her. "If you compare them," Schouten says, "you probably would not recognize the new boat from the old boat."